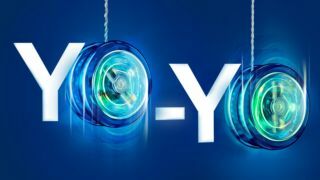 O2 has announced a set of new Refresh tariffs that, as the name suggests, let you freshen up your deal on a monthly basis. It means you're not necessarily stuck with your chosen plan for the whole 24 months of your mobile phone deal, being able to yo-yo your data allowance whenever you wish. These tariffs are also travel friendly with data access while roaming in over 75 countries and apply to both new and current O2 Refresh users. The new pay monthly tariffs offer between 1GB and 50GB of data and let you change up or down from month to month, as you need. These contracts range from as little as £16 up to £36 per month. The data works in all the countries in O2’s Europe Zone plus 27 more including the US, Australia and New Zealand. O2's Refresh deals add a welcome element of control to your smartphone contract - but it isn't exactly an original concept. Tesco Mobile and Virgin offer similar contracts, that let you move around your data allowance like a puppet (or yo-yo) on a string. If you want the best of O2’s offerings check out our O2 deals page here. Perhaps you know you want a certain new phone? Then pop over to our Samsung Galaxy S9 deals or Apple iPhone X deals pages and get started.